In the United States, small “electric scooters” became a personal transportation fad in 2018, after starting the previous year on the West Coast. While some units are being sold to individuals, the great majority are bought by “ride share” companies who rent them out. Based on data from Portland, OR, which has years of experience tracking personal transportation, the average electric-scooter rental is for a ride of a little over a mile and a few minutes. Electric-scooter ride-share companies include Bird, Spin, Lime, Lyft, Uber, Skip, Tier, Dott, Scoot, Jump, Wind, Bolt, Grin, Ride and Yellow. Features: Models of electric scooters often found from “ride-share” companies–such as Xiaomi model MS365 and Segway model ES1–have motors rated at about 1/3 horsepower. Weight is about 25 lb, battery life is around an hour for 10 miles of typical travel, and full recharging time is around 4 hours. Usual speeds on level roads vary from about 3 to 12 miles per hour. Prices for popular electric scooters sold to individuals range around $500, with others selling for about $200 to $800. At online forums, many purchasers rate reliability of popular electric scooters as poor, with up to a quarter finding major defects, severe wear or outright failure after less than a month of use. Reported problems include misaligned parts, stuck controls, loose frames and handlebars, rattling motors and brakes, battery fires, worn tires and poor customer service. Stability: A typical electric scooter has two small, solid rubber tires–about 8-inch diameter on 33-inch axle spacing. The operator stands on a narrow shelf at axle height, about 4 inches off the road surface, with the center of gravity for a six-foot-tall standing operator about 40 inches above the axles and 1/3 the axle spacing behind the front axle. By comparison, a bicycle provides a more stable ride with a rider normally seated. A lightweight has 26-inch diameter, air-filled tires on 40-inch axle spacing, with the center of gravity for a six-foot-tall seated rider about 30 inches above the axles and 2/3 the axle spacing behind the front axle. Both gyroscopic forces and stabilizing forces during turns are substantially greater for bicycles than for electric scooters, while the torsion moment from the center-of-gravity to the axle height is less. Hazards: A bicycle will ride over many obstacles, while a typical curb will stop an electric scooter stone cold–pitching the operator over the handle bars, likely to strike the ground face first. Reports are starting to accumulate. A majority of injuries with electric scooters come from collisions with obstacles, not with other vehicles or pedestrians. Face lacerations, concussions, and broken noses, jaws and arms are common in electric scooter crash reports. As in several other places, Massachusetts laws require operators of electric scooters to wear helmets. While some places forbid electric scooters operating on sidewalks, Massachusetts laws do not. The state also requires electric scooters to have working stop and directional signals and does not allow operation after sunset and before sunrise. Surveys show poor compliance with such laws. Portland, OR, found only 10 percent of operators wearing helmets. Los Angeles found fewer than 5 percent. Electric scooters currently being rented in Brookline, MA, lack stop and directional signals required by state laws. Injury rates from operating electric scooters are alarming. Portland, OR, the U.S. community with the longest and most extensive measurements, found a rate of 220 injuries per million passenger-miles. By comparison, the injury rate for public transit in the U.S. is around 0.2 injuries per million passenger-miles. For the same distance of travel, operating an electric scooter is around 1,000 times as dangerous as using public transit. Environmental factors: When on duty, electric scooters are energy-efficient, using about 20 Watt-hours per mile. 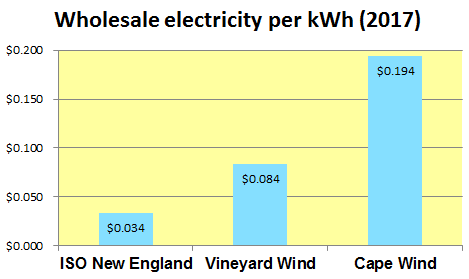 For comparison, a Tesla model S electric automobile uses about 330 Watt-hours per mile. During the after-duty hours, however, rental scooters are collected by contractors, taken to garages for charging, then trucked back to public locations. For each mile when on duty, a typical rental scooter spends another mile in a 4,000-pound, gasoline-powered pick-up truck. The efficiency when on duty is wiped out. It is more efficient and kinder to the environment to drive an ordinary car. 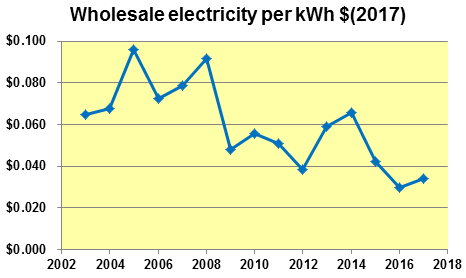 This entry was posted in Business, Environment, Services, Transportation on April 8, 2019 by Craig Bolon. Dukakis and Salvucci got federal funding for the Big Dig–over a veto from former Pres. Reagan–by a margin of one vote in the Senate. They did not manage the construction. Republican state administrations that managed the Big Dig and its aftermath of repairs–from Bill Weld through Mitt Romney–lied to the public about rapidly growing costs. Massachusetts taxpayers have been hit with at least 45 times the costs claimed in 1983. So far, including interest, the financial disaster is at least $24 billion and counting–over two-thirds being paid by Massachusetts. As of 2006, about 80 percent of the state Department of Transportation and its routine projects were being funded with money borrowed for the Big Dig. The Democratic administration of Gov. Patrick straightened out budgets. However, while state government returned to pay-as-you-go, Big Dig debts are not scheduled to be retired until 2038–55 years after efforts began. Railroad to nowhere: Many historic, congested cities–including London, Paris and New York City–have long-distance railroad stations outside a central district, connected by transit lines. Boston’s MBTA provides transit similar to the London Underground, Paris Metro and New York City subways. 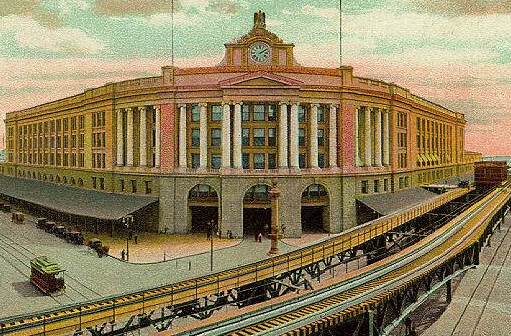 There is no unique need to link Boston’s North Station and South Station via a long-distance railroad track. It would become a railroad to nowhere. Proposals for a long-distance railroad tunnel under Boston have circulated since the 1920s, when there was an elevated transit railway–closed in 1938 after lack of use and scrapped in 1942 for steel needed during World War II. Likely costs always outweighed likely benefits. The surface Union Freight Railroad along Atlantic Avenue, built in the 1870s, was abandoned in the late 1960s for lack of use. The surface Grand Junction Railroad through Cambridge and Somerville still connects between the Boston railroad stations. It is now owned by the MBTA and is used occasionally to transfer equipment between the north-side and south-side commuter-rail lines. For some local visionaries, practical issues don’t seem to matter. Former Gov. Dukakis, now Prof. Dukakis, apparently learned little from the Big Dig financial disaster. In 2014, he was touting yet another tunnel under Boston: the would-be railroad to nowhere. It would cost “as little as $2 billion” he claimed. We have heard the same line before from Prof. Dukakis, when it proved wrong by more than a factor of ten. For a public works project, governments rarely seek out designs and costs from lawyers or academics. Former Transportation Secretary Salvucci, a Boston Latin and MIT grad who trained as a civil engineer, was not on board the Dukakis train. As quoted in 1992, he said a long-distance rail tunnel under Boston faced “any number of problems, each of which was fatal.” Although veteran observer Stephen Kaiser has called Salvucci’s tactics with state projects “Machiavellian,” he shows a clear instinct for self preservation. $18-33 billion boondoggles: On June 18, 2018, a state-sponsored engineering analysis, performed by Arup Group of London, attached price tags to several plans for the railroad to nowhere, Depending on the plan, the designs, construction and equipment alone would cost from $12 billion to $22 billion–in the spending range of the Big Dig–according to the initial report. Arup Group initial estimates were projected to mid-completion in 2028 and include new rolling stock and “investments to support increased service.” They do not include any interest on state bonds. If interest costs were comparable to the Big Dig, they would add around 50 percent to construction and equipment costs, resulting in total costs to taxpayers of about $18 billion to $33 billion. According to Bruce Mohl, writing in Commonwealth, the House chair of the General Court’s Transportation Committee said the results show “how expensive and unnecessary the project really is…beyond the reach of any conceivable financing plan.” Final shoes will drop with release of a completed Arup Group analysis this fall, but as of mid-summer, 2018, the railroad to nowhere looks headed for scrap. This entry was posted in History, Projects, Services, Transportation on July 28, 2018 by Craig Bolon. Justice Kennedy had enough sense to step aside before most of the public would see that he was losing his grip. Evidence showed in his dissent from Carpenter v. United States. In this high-profile case, he failed to see a difference between business and personal data. Even Chief Justice Roberts–sometimes a backer of imperial government–saw the difference, described in the U.S. Supreme Court opinion released Friday, June 22. Interstate crime watch: The Carpenter case arose from interstate crimes in Michigan and Ohio. Through cell-phone location-tracking data, the FBI found that Timothy Carpenter, alleged ringleader of a crime gang, was near the sites of several armed robberies at the times they occurred. Carpenter was convicted by a federal district court jury and sentenced to more than 100 years in prison. Informed by a confession from one of the robbers, the FBI might have been able to justify search warrants for cell-phone records under the Fourth Amendment. Instead it relied on exemptions found in the Electronic Communications Privacy Act of 1986. [Public Law 99-508] A key issue was whether locations tracked from cell phones are Constitutionally protected as elements of personal privacy. If so, the Fourth Amendment requirement for search warrants should apply to records of locations. The right of the people to be secure in their persons, houses, papers and effects against unreasonable searches and seizures shall not be violated, and no warrants shall issue but upon probable cause, supported by oath or affirmation, and particularly describing the place to be searched and the persons or things to be seized. A so-called “third-party rule” derived from United States v. Miller and from Smith v. Maryland exempted data voluntarily sent to businesses from Fourth Amendment protections: bank transactions and manually keyed telephone numbers. However, those Supreme Court cases from 1976 and 1979 could not anticipate circumstances of the recent Carpenter v. United States case. Consumer cell-phone services were introduced to North America in the mid-1980s and grew slowly in early years, when they were very costly. Surveillance: While they are powered on, cell phones sample the radio environment and silently exchange messages with transceivers so that they can respond to incoming calls and be ready to place outgoing calls. Most if not all cell-phone services keep records of silent messages that include cell-phone identifications and transceiver locations. Location tracking exposes cell-phone owners to continuous surveillance–a major threat against personal privacy. The 2018 Carpenter case challenged whether the federal government can access location-tracking data for a criminal investigation without obtaining a search warrant. 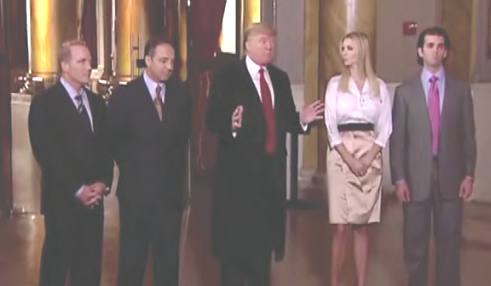 Joined by Justices Breyer, Ginsburg, Kagan and Sotomayor, the opinion from Chief Justice Roberts said no–citing among other cases Riley v. California, decided by the Supreme Court in 2014. Justice Kennedy’s dissent failed to recognize changes in communication uses and technologies over the 39 years since Smith v. Maryland. It failed to distinguish the 2018 case from the 2014 case whose opinion he joined. He was unable to see that–unlike bank transactions or manually dialed telephone numbers–durable records linking individual cell phones to dates, times and locations are not essential to business services as usually provided in the United States but instead reflect personal information. Justice Kennedy seemed to think cell phones are active only when “a cell-phone user makes a call, sends a text message or e-mail or gains access to the Internet.” His views suggest location data from cell-phone transceivers have been voluntarily sent to businesses and are subject to the “third-party rule.” At a late point in a long span on the Supreme Court, he faded to a shadow of his former presence. This entry was posted in Business, History, Information, People, Services on June 29, 2018 by Craig Bolon. Borrowed locomotives decorated in Halloween orange and black. Rented coach cars lacking restrooms, with air conditioning that may not work. Nevertheless, some added commuter-rail service is operating on what Connecticut’s government calls the “Hartford Line”–in planning since 1994 with designs starting in 2003. Plans versus progress: Plans in 2004 from the Connecticut Department of Transportation figured capital costs of the Hartford Line at about $260 million. Actual spending so far in Connecticut and Massachusetts totals about $800 million, over $500 million of that from the state of Connecticut. The program is not finished and could take $500 million more. Since 2006, Connecticut spent about $503 million renovating former Hartford and New Haven Railroad facilities and equipment between New Haven, CT, and Springfield, MA. Massachusetts spent about $45 million to renovate the Springfield rail station. Springfield and the local transit agency put in $6 million. The federal government has contributed about $248 million to the combined projects. Amtrak continues to own most tracks and stations and continues to operate many of the trains. The Railway Era: Founded in 1833, the Hartford and New Haven sold to the New York and New Haven in 1872. 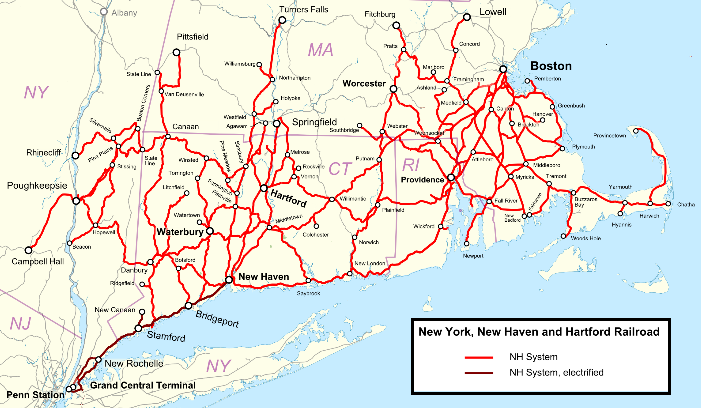 Afterward, although those owners acquired other lines, they operated as the New York, New Haven and Hartford Railroad–often called the “New Haven.” Its 4-track main line runs from Grand Central in New York City to New Haven–with early, main branches to Hartford, New London, Danbury and Waterbury. 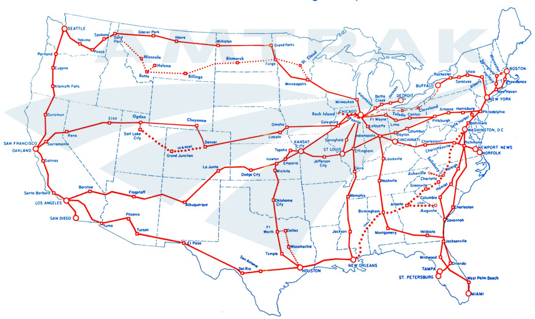 That main line is now owned by New York and Connecticut. It is jointly operated as Metro North. In the aftermath of a 1902 train crash in the Park Avenue tunnel connecting to Grand Central, New York City banned coal-fired locomotives. The New Haven developed technology for its main line: the world’s first long-distance electric railroad. Through the 1920s, the New Haven spread into downstate New York, western Massachusetts and across Rhode Island into eastern Massachusetts, reaching Boston and Cape Cod. After financial reverses during the Great Depression, the New Haven again prospered during World War II and for several years afterward. However, automobiles began attracting many riders. The Federal Aid Highway Act of 1956 [Public Law 84-627] funded new, toll-free interstate highways, soon erasing passenger rail from most of the United States. Era of struggle: During the 1950s, U.S. passenger rail services plunged into deep decline. Services halted for lack of demand, and business failures began. New Haven management filed bankruptcy in 1961. At the start of 1969, as directed by Congress, the New Haven was taken over by the Penn Central, a brittle amalgam of the Pennsylvania Railroad and the New York Central. A year and a half later, the Penn Central was bankrupt. In 1970, Congress authorized Amtrak: the National Railroad Passenger Corp. It made Amtrak the operator and prime custodian for the Northeast Corridor–between Boston, MA. and Washington, DC–under the Railroad Revitalization and Regulatory Reform Act of 1976. [Public Law 94-210] In the Northeast Corridor, more than vestiges of the Railway Era passenger services survive, and in recent years they once again prosper. Amtrak acquired most former Hartford and New Haven property between New Haven and Springfield, operating a few trains in Connecticut and Massachusetts. Ownership of Northeast Corridor tracks and stations became divided between Amtrak and agencies of New York, Connecticut and Massachusetts. Those states supported commuter-rail services around New York City and Boston: major transit markets without sound alternatives. New Haven-Springfield service: The initial Amtrak system offered passenger service between New Haven, CT, and Springfield, MA, but during the 1970s and 1980s it became as little as two trains each way on a weekday. The Bay State connected New Haven to Boston via Springfield and Worcester, while Bankers Express ran between Springfield and Washington, DC. In 1995, Boston service ended, and legacy trains were replaced by trains between Springfield and Washington as part of Northeast Direct services–later called Northeast Regional. There has also been one Amtrak train a day each way using that route between Washington and northern Vermont, subsidized since 1995 by Vermont. The Springfield Shuttle–operated by Amtrak and subsidized by Connecticut–began in 1995, connecting between New Haven and Springfield via Hartford. That service continues today. It has varied between two and eight trains each way per weekday. 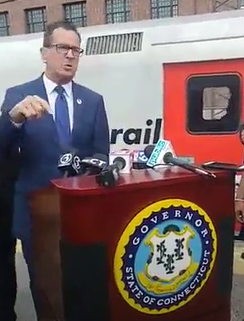 With the start of Connecticut’s Hartford Line commuter rail June 18, 2018–contracted with TransitAmerica Services and Alternate Concepts–the state also increased subsidies for the Springfield Shuttle. Amtrak now charges the same fares–as much as a 50-percent reduction–and accepts fares and tickets from new CTrail-branded service. There are 16 commuter trains each way on weekdays. However, only 10 travel the span between Hartford and Springfield, which continues to lack former double-track segments. To cut its property taxes, during the 1970s Amtrak ripped out segments of former Hartford and New Haven tracks. It neglected maintenance of track equipment, bridges, crossings, platforms, signals and stations. The 1926 Springfield station was closed for over 40 years. The 1889 Hartford station, last renovated after a fire in 1914, is reached over an aging viaduct, reduced to a single-track platform when I-84 was built through Hartford during the 1960s. Most federal support for the Hartford Line came from a so-called “high-speed rail” program touted by the Obama administration. Although rolling stock on the Hartford Line can reach speeds over 100 mph, tracks and signals do not sustain that. There are no express trains. The Hartford Line trains traversing the 62 rail miles between New Haven and Springfield stop at all of the nine current stations reached on their routes, except that Amtrak trains fail to stop at State Street in New Haven, a station Amtrak does not own. Their average scheduled speed is 39 mph. So far, the Hartford Line commuter-rail program has reconstructed all but 23 miles of former double tracks between New Haven and Springfield, renovated or rebuilt several stations and put up a new station at State Street in New Haven. Four proposed new stations and several projects to renovate facilities and equipment have yet to start. There is no longer much federal assistance, and Gov. Malloy–a strong supporter of the program–did not run for another term in the November, 2018, state election. This entry was posted in Business, History, Transportation on June 21, 2018 by Craig Bolon. In a classic 1938 film, Myrna Loy played Alma Harding, modeled after Amelia Earhart. Corey Spaulding–parent of a former student in Natick Public Schools–probably would not be mistaken for Loy. Last January 8, however, her message proved “Too Hot to Handle.” Natick School Comittee members walked out of their monthly meeting moments after she started to speak and then-Supt. Peter Sanchioni interrupted, calling her remarks “unfettered lies” along with other jibes. According to public records, at the Natick School Committee on January 8 Spaulding began by saying, “I am the mother of a child who was mercilessly bullied into suicide here in Natick.” Outbursts at the meeting made other comments hard to follow. About two months later, Dr. Sanchioni resigned. The School Committee cited “personal, family and medical reasons.” Another two months on, he was hired as the school superintendent for Tiverton, RI, apparently at a lower rate of pay. Supported by the Massachusetts ACLU and represented by Benjamin Wish of Todd & Weld in Boston, Spaulding and Sutter won an order from a state court enjoining the Natick School Committee from enforcing rules against “improper conduct and remarks” and against “personal complaints” applied to comments at meetings. The court ruling stated that Natick policies and actions were likely to be found invalid under both Massachusetts and federal laws. Over recent years, public comment became a regular feature at meetings of many local boards and committees. The Brookline School Committee adopted the practice in 1993. The Brookline Select Board later adopted it. Governing boards and committees in Boston, Cambridge, Somerville and many other suburbs of Boston follow similar practices. The Massachusetts Association of School Committees publishes guidelines for public comment. Guidance is also available in other states and from national organizations. What can one say to members of a local governing board or committee in a public comment? When and how does freedom of speech, guaranteed by the First Amendment to the U.S. Constitution, apply? Boundaries of civil rights in particular situations are explored in court decisions, but so far few decisions directly concern public comments made to local boards and committees. In that case, an institutional policy was found to be content-neutral and viewpoint-neutral, and it was upheld against a free-speech challenge. In that case, an injunction issued against a so-called “group defamation ban” by a city council, because under “strict scrutiny” it appeared likely to violate First Amendment rights to free speech and Fourteenth Amendment rights to due process. This entry was posted in Grade schools, High school, Information, Meetings, Regulations on June 12, 2018 by Craig Bolon. Public-school teachers in several states have been challenging unfairly low pay and inadequate resources. Reflecting its suburban liberal views, a recent New York Times report charted changes in public-school spending across the United States since the Vietnam War era. 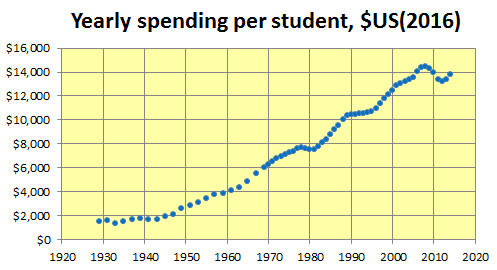 A longer span would have shown how unusual the recent funding lapses have been–breaking a rising tide of investment in public schools extending since at least the 1920s. Major changes in U.S. public education are often faintly remembered. For European-American, English-speaking students, the norm of basic literacy and arithmetic skills was a revolution during the early nineteenth century. The extensions to high-school education and participation of African-American students, native-American students and foreign-language speakers took over a century more. 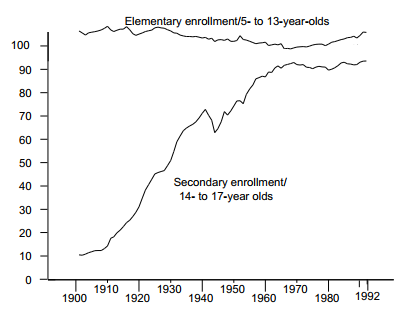 A high-school education became a national norm only in the 1950s. Costs of living: Few reports on recent strikes and protests over teacher pay and school spending consider how costs of living warp the comparisons. Because of steep costs for housing, utilities and food, when an apparently middle-class $58 thousand average yearly pay for Hawaii teachers is adjusted for the state’s high cost of living against the U.S. average cost of living, it shrinks to about $33 thousand–near the edge of poverty. The following table shows average salaries of K-12 public-school teachers by states. They are adjusted by statewide costs of living: equal for a state matching the U.S. average cost and proportionately scaled for states with higher or lower costs. The table also shows percentage changes in teacher pay–using constant, U.S. inflation-adjusted dollars–over 47 years that the U.S. Department of Education has analyzed data. Contrary to impressions colored by recent teacher strikes, Kentucky, Arkansas and Arizona do not come out as drastically unfair states. Instead they rank 17, 20 and 42 nationally on teacher pay–adjusted for state costs of living. 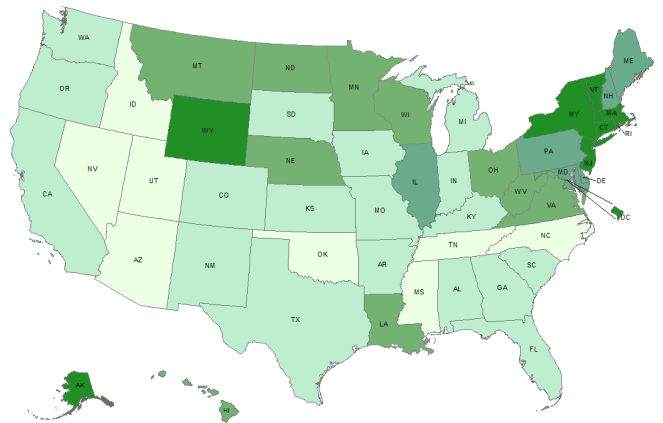 Hawaii, South Dakota and Maine are at the bottom of that list–on average paying public-school teachers the equivalents of about $33, $46 and $48 thousand per year, as adjusted to states nearest the average U.S. costs of living: notably Maine, Washington, Nevada and Delaware. Similarly, California, New York and Massachusetts are not top-paying states–as popularly reported–when considered against costs of living. Instead Michigan, Pennsylvania and Illinois are at the top of that list–on average paying public-school teachers the equivalents of about $74, $69 and $68 thousand per year, as adjusted to states nearest the average U.S. costs of living. Gains and losses: In the Change column, the table reflects gainers and losers among the states. The public-school teachers of Massachusetts have been by far the greatest gainers. Their average pay, adjusted for inflation, rose about 38 percent between 1969 and 2016. Over that period, the public-school teachers of Arizona have been the greatest losers. Their average pay, adjusted for inflation, fell about 15 percent–most of those losses since 2009. In 1969, Arizona ranked 20th nationally in unadjusted teacher pay, but in 2016 it ranked 45th. On average, annual pay of U.S. public school teachers reached about $59,500 for school year 2016, adjusted for statewide costs of living, an increase of about 8 percent in inflation-adjusted dollars over the previous 50 years. However, there are many more stories to be told about gains and losses. Although they involve economics, they more often reflect politics. While Massachusetts has seen an economic success-run, thanks to high tech, it has been strong teacher unions that tapped the wealth. The state now ranks ninth from the top in teacher pay, but if the state had made only an average increase in teacher pay it would rank fifth from the bottom. No force in government is compensating for enormous gaps in average public-school teacher pay between the states: as adjusted for costs of living, about $33 thousand a year in Hawaii versus $74 thousand a year in Michigan. This entry was posted in Events, Grade schools, High school, History on June 5, 2018 by Craig Bolon.